Sometimes certain things just go together naturally; peanut butter and jelly, the birds and the bees, bread and butter, Abbott and Costello, and AWD and SUVs. A Sport Utility Vehicle is supposed to be just that; it’s not a car, it’s built to handle off-road and inclement driving conditions. It only makes sense to equip it with AWD. One does need the tools to perform one’s job after all. 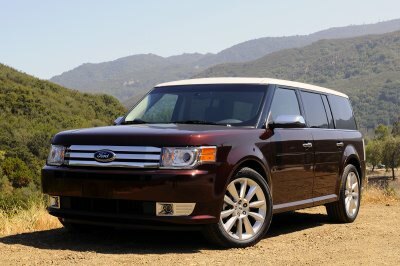 In order to find out which are the best of the well-equipped monsters for the 2010-2011 model years, we’ve researched the automotive archives of Car and Driver, Consumer Reports, Edmunds, and Motor Trend to find the best AWD SUVs. Acura’s “Super-Handling” all-wheel drive is standard on the MDX and it sets this SUV in a class of its own in terms of handling. On curvy roads the MDX shifts torque from wheel to wheel wherever needed during hard cornering. Coupled with the dampening suspension, this is one of the most pleasurable sport-utilities to drive. The cabin has features that will drive tech lovers crazy with joy, and spaciousness is ample in both seating and cargo capacity. The 3.7L V6 provides 300 horsepower and 270 lb-ft. of torque, giving the MDX an admirable towing capacity of 5,000 pounds when properly equipped. 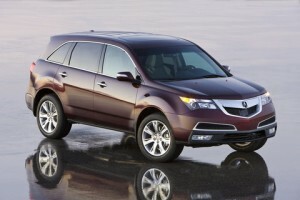 Even with the highest price tag on this list, the MDX is the best overall value. 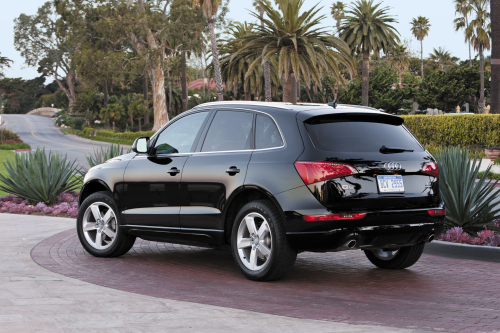 All-wheel drive is standard on all trim levels of the Q5, but the 3.2L V6 is the best engine choice to utilize its full potential. Ride quality is firm, but not uncomfortable. It’s the interior quality that truly makes the Audi shine. A plethora of technological gadgets and roomy, comfortable seating make it perfect for long road trips or just short treks across town. Navigation-equipped models will get Audi’s third-generation Multi-Media Interface (MMI) which shows vast improvements over previous versions. The electric power steering is the one drawback, providing an artificial feel and a tendency to feel stiff at low speeds. The Flex resembles an elongated cardboard box, but rides like a fluffy white cloud. All-wheel drive is coupled with a 3.5L V6 standard, or you can opt for the 3.5L EcoBoost V6 and get more of a sport feel via direct control of the transmission with standard shift paddles. “The tighter suspension, quicker steering and lower ride height also allow the Flex to corner with more immediacy and confidence. Sporty, it’s not, but the EcoBoost variants should supply enough excitement for the majority of drivers.” (www.edmunds.com) Cargo space is average, but seating is quite comfortable in all three rows. The Enclave is actually one of the heavier SUVs; as such, the all-wheel drive comes in extremely handy. Coupled with the 3.6L V6 engine, it improves what is normally an uninspired handling. It also offers a quiet ride and smooth suspension. The interior provides an upscale vibe and is one of the roomiest available. Outward visibility is somewhat compromised due to smaller windows and an upward-tilting rear body, but interior amenities are luxurious and reasonably priced.